ADD blue LED to your Roland TR-606! ooooooooh! now how much better does that look....shweeeeet! hey looks pretty easy too, nice job! find out how to add your replacement Blue led's HERE! 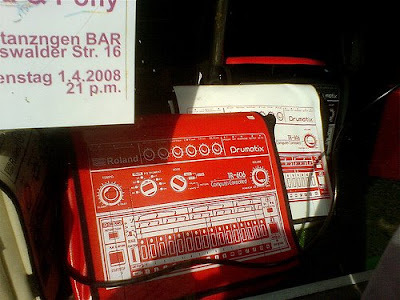 Bags with an ace image of that ole' classic the Roland TR-606, the photo was taken on Eberswalder strasse near Mauer Park. they are 40 euros, I want one, I know you do...get over to Berlin and bag yersen' one....doh! sorry I had to! original blog post HERE! VINTAGE Soviet analog Lell UDS! weirdly I kinda like this...never seen one before...but very neat all the same!! DAVID Fingers Haynes Jazz fusion genius! THE worlds number 1 beat box? 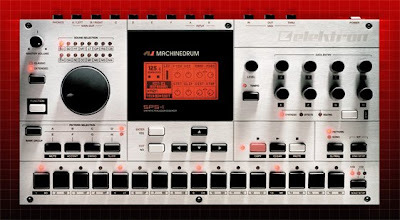 The Elektron Machine Drum is a totally awesome machine...but its so much more than a beat box, do yerself a favour and buy yersen one, check it out HERE! 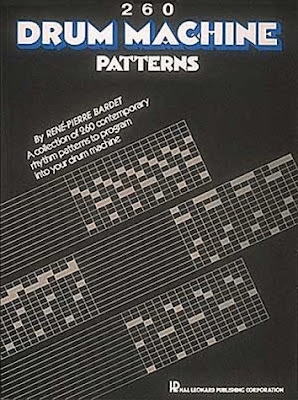 260 Drum Machine patterns book!...how to! If you are still somebody who needs to be told that taking time working on velocity, groove & feel makes your drum patterns just that more deliceous! well this is gonna make your life that much easier....erm....apparently!! buy it HERE! MAKE a drum machine out of a tape recorder!? stoopid......o god yes! here's more gumph about this thing!....How to make a drum machine with a tape loop and vintage reel to reel tape recorders. This How-To video shows you how to create a tape loop that runs between two vintage tape recorders, turning them into a silly drum machine. It uses one capstan drive and one rim drive tape recorder to manage an endless loop of tape, that you can make yourself! Although this loop runs at 1-7/8 inches per second, the video gives you an equation that lets you calculate a tape loop for any speed and of any duration. Panasonic Rhythm Machine 70's Analog Vintage Beatbox! 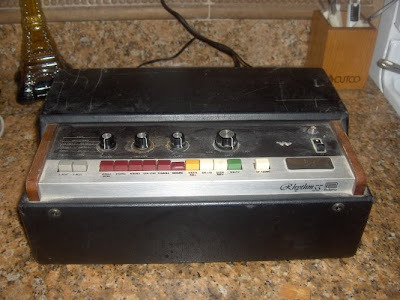 This is a weird looking little beast from the 70's from that monster that is Panasonic, its full name is National Panasonic RD-9844 Rhythm Machine, a very Basic Rhythmbox with only four Rhythms: 2-Beat, 4-Beat, Rock, Waltz and three buttons for triggering Bassdrum, Snaredrum and Cymbal. A build in cable with mini jack is the only output....mmmm....sounds pretty groovy to me! How to Make Basic Beats on a Drum Machine...apparently! How to Make Basic Beats on a Drum Machine : Picking a Hi Hat Sound on the Drum Machine, a kinda self help video for anybody who doesn't know how to do such things on a drum machine, presented by somebody who really should be on kids tv, unless he already is! !...hehehe, kinda funny this! o come on if you don't want this you're either a guitarist (spit! ), a westlife fan or just a dead person...oh yeh or you've already got one you lucky git!! if you are none of these things, go and get it HERE! 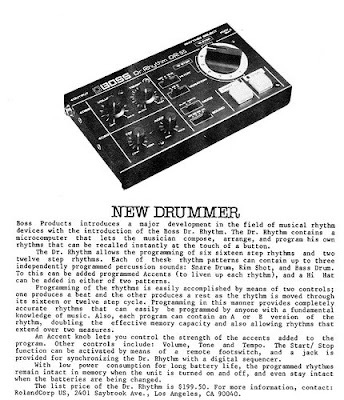 Wurlitzer SideMan, the worlds first drum machine? Yeah, you know you'll be kickin' out the jams now with that PSP. Noah Vawter and Nathan Wray have whipped up PSPKick, a sample-based drum machine for the Playstation Portable. We're quite sure this is exactly what Sony had in mind all along, Looks like a 12 track xoxox inteface, and can output drum loops into wav files on the memory stick, more info HERE! BeatEd S60 mobile phone drum machine! (this text written by the creater of the program) BeatEd is a simple drum machine application for Symbian S60 mobile phones. It was originally developed in couple of nights to get a drum machine and metronome application for personal guitar playing purposes. After getting a lot of new ideas and positive feedback, I decided to improve it a bit and make a decent public release of it. So here it is, have fun! more info HERE! THE Maestro Rhythm King MRK-2! A great Demonstration of the sounds and preset rhythms of the Maestro Rhythm King MRK-2 drum machine, dubbed "the funk box" by Sly Stone and used on his classic album "There's a Riot Goin' On", lovely machine! 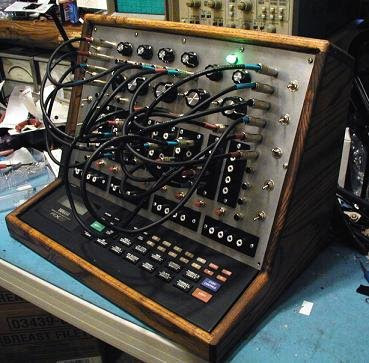 THE mother of all circuit bending...maybe!? 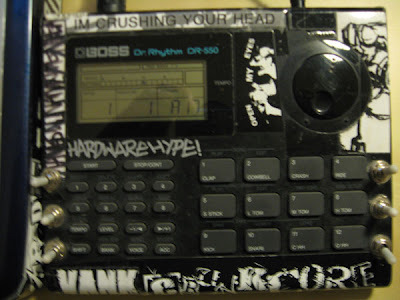 The Yamaha RX-17 drum machine totally bent outa shape!, created by LAMEBOY I woz gonna make a joke about somebody having too much time on their hands but I decided not too, coming from somebody who created a blog about drum machines...pot calling the kettle black, maybe!? check it out HERE! and Lameboy's stuff is HERE! this is a great little flash animated drum machine...sweet is how some would see it, hahahaha, nice!! check it out HERE! 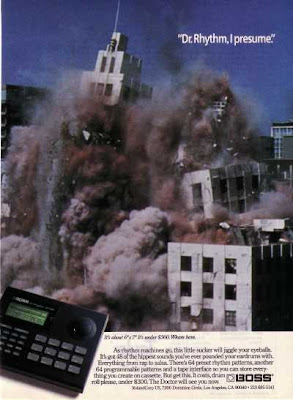 nice ad me thinx altho not sure they would want to advertise a drum machine with a falling building now!! retro weird! 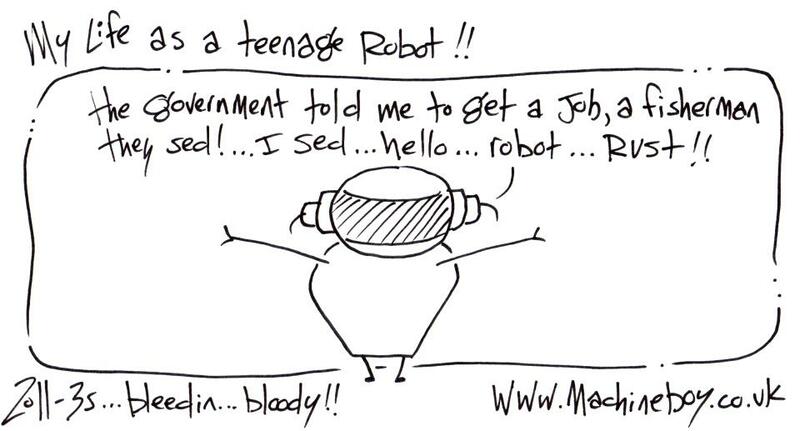 !, oh how the world changes...! an awesome machine....only a few sounds but all totally usuable, love it and for some reason, don't ask me why, its just got the LOOK!! a great machine.....simple but very effective, not programmable! 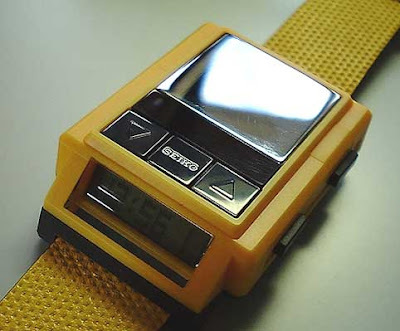 come on its the Seiko drum machine wristwatch and i want one..now!!! 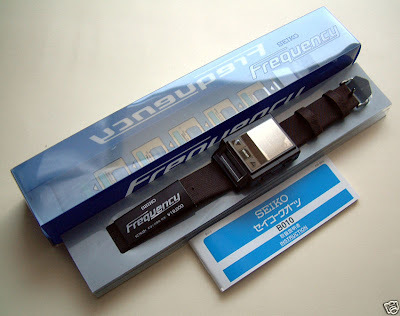 the Seiko Frequency Watch, released in the late 90's. 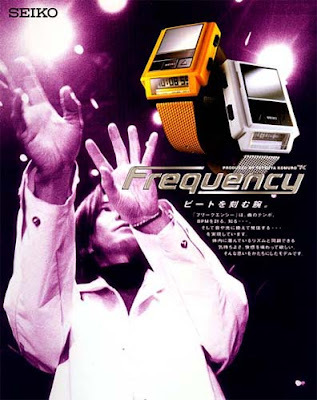 basically it's a drum machine watch intended for DJs, people at raves or dance clubs, and musicians....for more juicy info HERE! You can even buy one on ebay at the moment go check it out HERE! The mighty beastie boys do their usual stupid weirdness for the release of the brilliant 'to the 5 boroughs' album, they created a bunch of short videos to promote that they were back "The Hiatus Is Back Off Again", this is one of the shorts called "Drum Machine Race", hahaha great stuff from the beasties as usual! and if you are syill somebody who thinks all there is to the Beastie Boys is 'Fight for your right to party', check out the albums 'Pauls Boutique' & 'Ill Communication' both total genius albums! 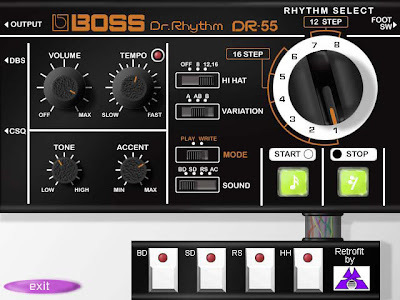 Deluxe rhythm with 64 presets and a programmable microcomputer to create your own beats...woweee! !...hahaha, how we've moved on!, but hey wot a beast of a machine! 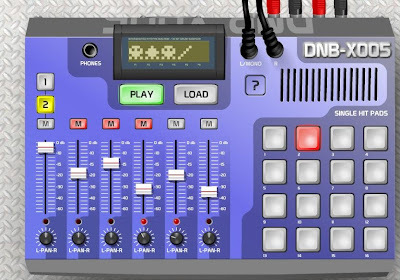 DnBX005 Drum Machine 1.00 is other software developed by Get Free Flash Games. DnBX005 Drum Machine: Can you feel the beat? This other program is freeware, so you can download and use it absolutely free. 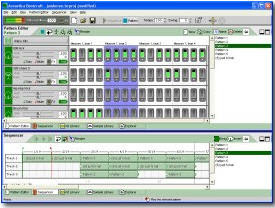 DnBX005 Drum Machine 1.00 supports English interface languages and works with Windows 98/XP/Vista...mmmmm....looks good! check it out, get more info and download HERE! RARE jugg box dpm 48...! 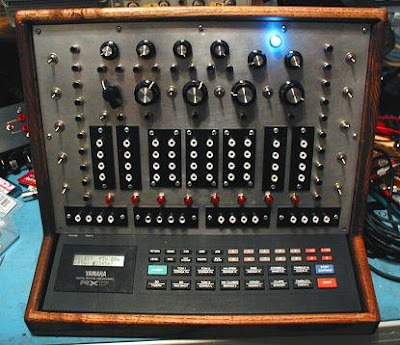 a video of the very rare Jugg box drum machine, apparently used by the likes of Prince....nice machine...its a new one on me!!.........shweeeeet! STREETBOX zoom sb 246 review! nice little demo of the Zoom street-box R&B Hip-hop drum machine, Rhythm and Beat System. The Zoom SB246 Streetboxx is a slim, compact and battery operated drum machine and dedicated hip-hop rhythm machine designed by Zoom in collaboration with Nashville producers Beat Kangz, who programmed all 219 preset patterns on the SB246. Intros, fills, endings and other pattern vatiations which can be combined to create tracks that are ready to perform live or to record. a great paint job (or should that be sticker job!...maybe!) 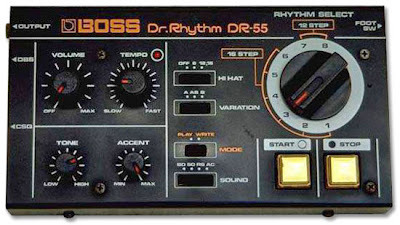 on this lovely little Boss DR550 drum machine, the interviews pretty neat too, to find more about Realicide/trash audio go HERE! I would have loved to be there, i kinda thought 'cheezy...' when I first heard about this but...i gotta be honest it works brilliantly, nice one!! now this is sheer talent and even if you are a 'serious' conventional drummer, this is incredibly difficult to do! he has amazing groove & feel, this is just awesome! Apparently acoustica Beatcraft drum machine is an extremely powerful, easy to use Drum Machine software program for beginners and professionals, more info HERE! nice! The Beatbox physically programmable drum machine! machine whose sounds are programmable by actual physical manipulation of several control objects...weirdness rules!, more info HERE! Robot Skull Techno Drum Machine...! 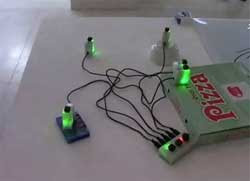 Techno Inferno is a miniature electro-mechanical drum machine that produces a 3-minute long techno track. 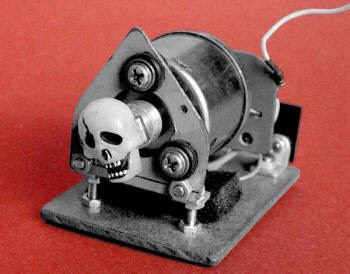 A streaming film demonstrates how the machine makes its sounds by beating on a rotating skull shape, created by ZProd, Z Prod is the home of electronic artist Paul Granjon. Granjon creates unique machines to create his sounds, go visit ZProd HERE! iDRUM Make Beats iPhone, iPod Touch! iDrum(R) is the addictive app that lets you create your own beats, even if you have no musical experience! Start with iDrum's selection of amazing kits and patterns, then customize them to make them your own. Build beats layer by layer by tapping the touch screen or create music with simple shapes and color combinations that let you visualize the rhythm, when you've got the beat just the way you want it, you can export to iTunes to sync with your phone and use the beat as a ringtone! for more info go HERE! OLD drum machines?...we got em! a nice little video of a bunch of old drum machines, including Amdek RMK100, Boss DR55, Boss DR 110, Boss DR220a...shweet! Great track and totally awesome programming by Cylob...the brilliant video just makes the whole thing more deeeeeeeeliceous!! great work! more cylob goodness HERE! Great track from Machine Drum, top top video too!!...nice!! 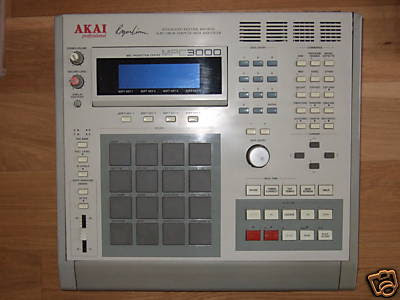 AKAI MPC 3000...ace machine for sale! Akai MPC 3000, classic Drum Machine, For Sale, mmmmmm, luvlee! auction HERE! MORE...stylophone & drum machine genius! Stylophone & Drum Machine - Mann Gegen Mann in Kuopio part 2, a kinda comedy medley from the genius that is Mann Gegan Mann.....its soooooooo good! hahaha! 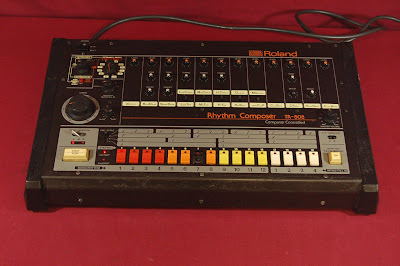 This is a wicked Vintage Roland TR55 Rhythm Drum Machine...old? you betcha, but it currently looks like its gonna go for nothing, grab yerself a slice of history! at the auction HERE! 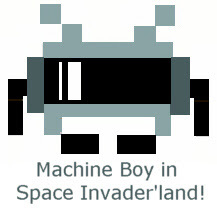 Check out this great Fun drum machine simulator, a neat little t'internet virtual drum machine and its based on the very neat Roland TR-909...go play!! HERE! MONEY Mark beatbox & piano! oh come on its a roland, its the very first machine sold under the good roland name....grooves out cheezy little beats....and its got wood! wots not to like!! auction info HERE! MIXEL Pixel...Tell Tale Drum Machine! great track, even better video, animation overload!!...brill! 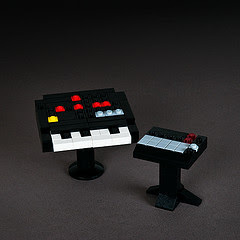 Lego synth & drum machine, ok so I'll be honest I hate lego...but hey when its in the shape of a Linn 9000 drum machine & an Arp Odyssey I'll make an exception...great work! 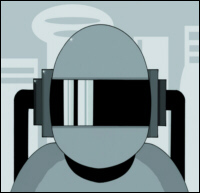 the images are used as cover art for the free CD download, The Future from the artist BEEM, check it out HERE! If Carlsberg did drum machine programming....hahahaha, they wish! Squarepushers Hard Normal Daddy has THE best drum programming ever ;-) but hey, you may not agree?...anyway here's Tom Jenkinson hard at work, doin his thang in this great Dutch documentary! TOP! 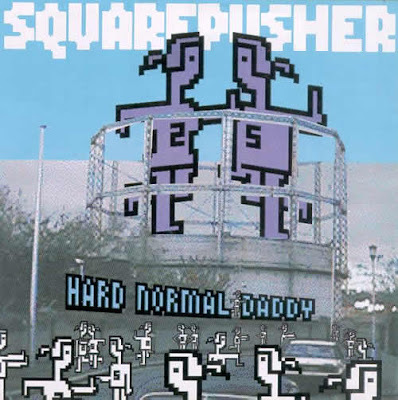 dismiss Squarepusher as just anutha Drum & Bass producer at your peril! hahahaha........this is a good one....has he just found this in the dump or wot! ?...in fact he's still standing in it! ?...jeeeez it looks like somebodies just spilled their tea all over it....mmmmmmmmmmmmm.........NICE! OK then am I the only one who wants his vintage Drum Machines all beat up and shabby?...eg...for real musicians, oops sorry I mean guitarists (hahaha)...if you're gonna buy that original vintage Fender strat....you want it lookin like its been thrown around the stage by Rory Gallagher (well I would anyway)...jeez Fender will even beat up a brand new geetar for you nowadays...for an extra fee...so I know its true.....anyway....if you are like me...this auction will really float yer boat! BUY! BUY! BUY! 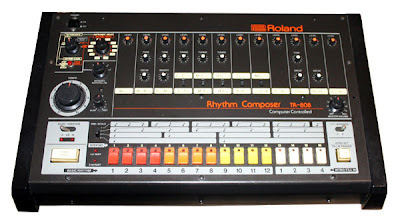 (ps) just in case you think this is a pathetic attempt to sell my shabby 808....I aint sellin this.....in fact if it was mine....i wouldn't be sellin....lovleee! !...the auctions HERE! YOU want one....you know you do! oh come on...wot could be better than sitting at yer drum machine doin yer thang!! 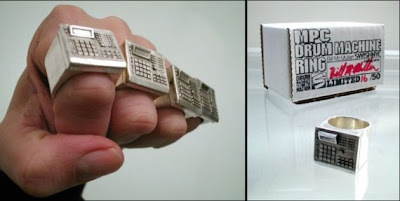 well sittin at a drum machine doin yer thang with yer drum machine ring...ahem...on yer finger....;-) more info HERE! 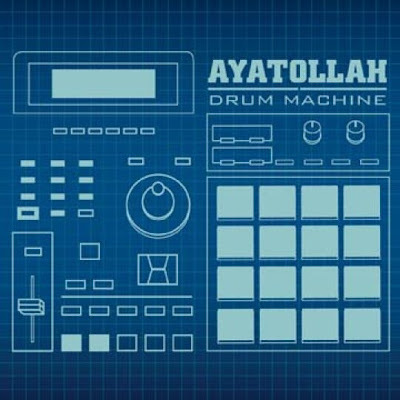 great little bit of art....for Ayatollah - Brolic + Drum Machine (Album Cover) lets hope the musac ROX as much as the cover...nice job! love it!! more info HERE! 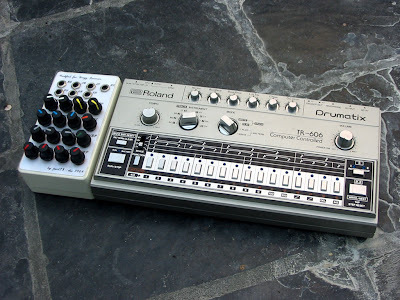 From an 8 Part TV series looking at cult electronic instruments that have shaped modern music it was on Channel 4 in the UK in 2000, late night fridays, other shows included the MiniMoog, the Fairlight and the mighty TB-303....look out for repeats...nice!! hahahaha........modern day genius maybe...ROCK ON!!! One of me favourite drum boxes....ever....in the whooooooole wide world! !...if your thing is a wood finish, pumping out grooves like this...you're in heaven!, awesome! your mouth is just watering aint it...you got one...you don't want it...you let me know! ?